Hip fractures are one of the largest health concerns in nursing homes as well as an extremely serious threat to the quality of life and the future health of elderly patients. 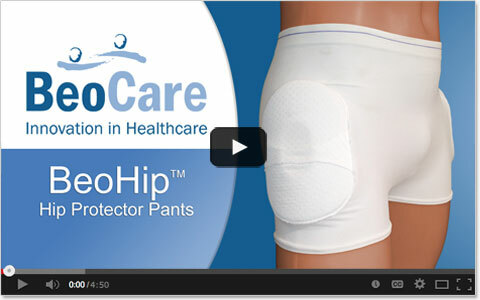 BeoCare has leveraged its long experience in seamless knitting to develop a unique design for our BeoHip™ protector. 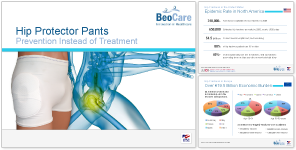 BeoHip™ offers distinctive advantages over competing products, through the unique design of the pad, combined with the snug fit of our pants. Our economical design makes hip protectors accessible to many more patients, thereby increasing the quality of care for elderly people worldwide.